There are two German guys, Dennis & Jens, who call themselves EIGENGUT . The design and make things like wedding gifts, cell-phone/ipad/tablet/laptop bags, organizers, rugs, pillows, or even recipe cards themselves. You can have them put your favorite quote, name, or whatever you like, on your next bag or organizer, which guarantees that they are super unique and individual. 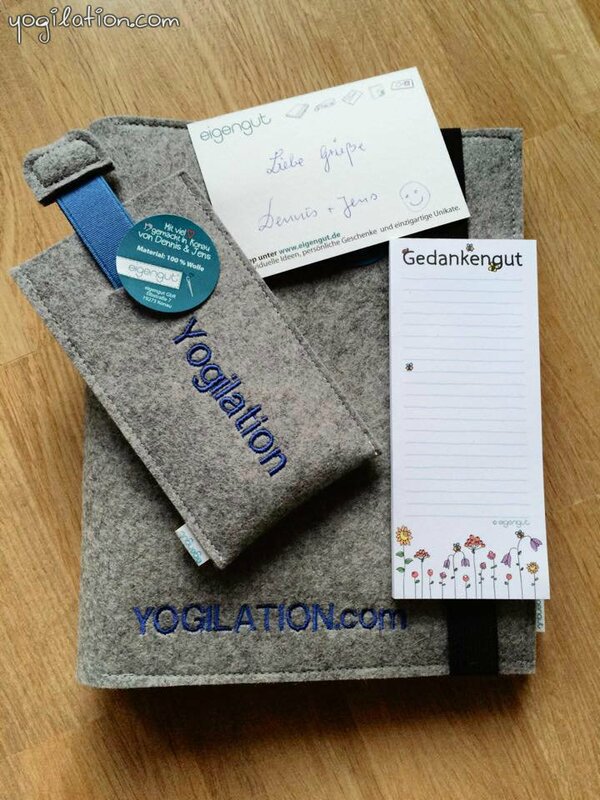 I like my new YOGILATION organizer and cell phone case very cool and can definitely recommend it. Unfortunately, their website is only in German, but it’s easy to scroll through. Also, I am sure they are happy to help you with any questions when you email them. They are super nice and the service is GREAT! Bring more beauty and order in your life ..